Home Tags Posts tagged with "limelight"
Bobbi Kristina Brown’s first interview since the death of Whitney Houston is set for Sunday, March 11, but members of the 19-year-old’s family have concerns about the timing of the one-on-one chat with Oprah Winfrey. “There is still no resolution and there has been nothing concrete on the cause of [Whitney Houston’s] death, and they were hoping for that,” a Houston family friend tells People magazine. The source says some of Whitney Houston’s close relatives wanted Bobbi Kristina to hold off on speaking publicly this close to her mother’s death. “There are people who just want her to stay out of the limelight for a while,” says the friend. The next step for Bobbi Kristina Brown – who currently is spending time with her aunt Patricia Houston and Whitney’s brother Gary Houston – is up in the air. “She’s so very young and impressionable,” says the source. 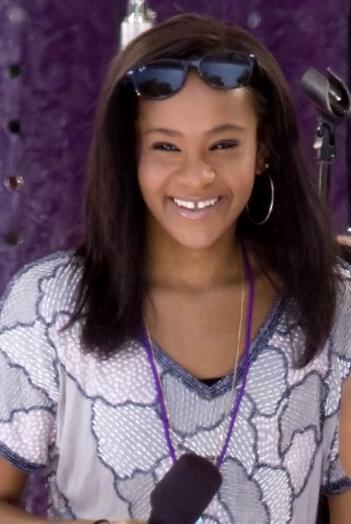 The source, who says Bobbi Kristina Brown “has definitely wanted to walk in her parents’ footsteps,” and pursue singing and acting, would have a tough act to follow. The source explains that “she will always have to deal with the constant comparison. “I think she needs to find her own niche,” says the source. Bobbi Kristina Brown’s interview, which also features Oprah Winfrey’s interviews with Patricia and Gary Houston, airs Sunday, March 11 on OWN’s Oprah’s Next Chapter.